Returning in 1757 to practice law in Philadelphia, Dickinson quickly earned a reputation as one of America’s finest lawyers. He also entered politics. 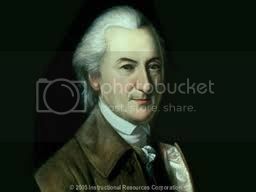 In 1760 he was elected to the Delaware legislature. During the next fifteen years he would serve both in that body and in the Pennsylvania legislature, a dual service made possible because of his property holdings and residency in both colonies. Serving in the Pennsylvania Assembly, he distinguished himself in 1764 by opposing the faction led by Benjamin Franklin that sought to turn Pennsylvania from a Penn family governed commonwealth to a colony immediately under British control. In the bitter debate the eloquent and stubborn young Dickinson stood his ground on the simple conservative principle that change might bring more oppressive government and that the chance could not be taken. He lost the debate and his seat in the Assembly, but gained admiration for his principles, and was soon chosen to represent Pennsylvania at the Stamp Act Congress in New York in October 1765. In debt from the Seven Years War, Parliament instituted measures to raise revenue and provide for the quartering of British troops. The Stamp Act was the first attempt to impose a direct tax on the colonies, and it provoked a strong and united opposition. The colonies retaliated by refusing to pay the tax and by boycotting English goods. Dickinson played a major but restraining role in this opposition. Sympathetic to colonial complaints, he also wanted to avoid violence. He urged Americans to rely primarily on economic pressure, and he enlisted the help of the powerful British merchants in the colonists’ cause. He published a pamphlet seeking support among English merchants to repeal the Stamp and Sugar Acts as a restraint of trade. At the meeting, he drafted the resolution of the Congress. When this action made no impact on governmental policy, he began in December 1768, to publish in the Pennsylvania Chronicle his famous Letters from a Farmer in Pennsylvania to the Inhabitants of the British Colonies, under the pseudonym A Farmer, which were widely read and admired on both sides of the Atlantic. In 1768 the American colonists were not united in the prospect of separating from Great Britain and establishing a new nation. Yet supporters of the revolution knew that division of the colonies would destroy the dream of independence. King George had provided the colonists with plenty of provocation, imposing laws and taxes without representation and enforcing them with British troops patrolling the streets of America. 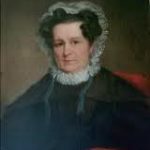 On July 19, 1770, Dickinson married Mary Norris, one of the richest heiresses in Pennsylvania, who bravely shared the fortunes and misfortunes of the following decades. Already wealthy, his marriage increased his wealth. They had five children, though only two daughters, Sarah and Maria, survived infancy. John Dickinson married into a prominent and wealthy Quaker family, and his political views placed Loyalist members (British supporters) of his family – aunts, uncles, and cousins by marriage – in the peculiar position of both supporting the Patriot cause and hoping for its triumph if only to guarantee the security and prosperity of their kinfolk. Family relations were strained but not severed by divergent political positions held during the Revolution; within this one extended family were prominent Patriot politicians, Loyalists who were jailed by the Patriots and whose property and person were under threat from American mobs, and many disgusted with the excesses of both sides in the conflict. The Norris-Dickinson family felt the wrath of both Americans and British. In the Delaware Valley, where for most of 1776 and 1777 first the British and then the Americans held sway, Quakers were punished by each side for their supposed allegiance to the other. The Norris-Dickinson family felt the wrath of both Americans and British. After their wedding, the couple lived at Fairhill, Mary’s family estate just north of Philadelphia, which was was burned by the British during the Battle of Germantown in October 1777, specifically because it belonged to “that Patriot Dickinson.” They resided at his Delaware family estate Poplar Hall, for extended periods only in 1776-77 and 1781-82. In August 1781 it was damaged by Loyalists. After his service as President of Pennsylvania, he returned to live in Wilmington, Delaware, in 1785 and built a townhouse at the northwest corner of 8th and Market Streets, which was his main residence for the rest of his life. Once again in politics, Dickinson organized Philadelphia’s protest over the Coercive Acts, a series of political and economic measures that Parliament enacted in 1774 to demonstrate its control over the colonies, but which the Americans interpreted as a blow to their liberties. In the July 1774 meetings to organize a new congress, Dickinson drafted three resolutions which retained hope that outright rebellion could still be avoided. At the same time, he worked to prepare the defenses of Philadelphia and took command of the first battalion of the city’s new militia regiment. Dickinson figured prominently in the convening of the Continental Congress. He soon proved his value by drafting declarations in the name of the Congress. Most characteristic perhaps is one written with Thomas Jefferson, Declaration on the Causes and Necessity of Taking up Arms, Dickinson’s ringing conclusion that Americans were resolved to die freemen rather than live slaves. He returned to serve in the Second Continental Congress, but after the battles at Lexington and Concord changed the attitudes of many members, Dickinson’s continuing stand for reconciliation cast him in the role of a conservative when compared to such firebrands as John Adams and Benjamin Franklin. In July 1775 he drafted Congress’ last attempt at compromise, the Olive Branch Petition. Against ever-increasing odds, Dickinson continued into July 1776 to work for one further appeal to King George. When Richard Henry Lee proposed a declaration for independence, Dickinson opposed it. The timing was wrong, he said, to declare war on the greatest power in the world without a system of government to bind together the various colonies. He suggested the colonies form a confederation amongst themselves before declaring independence from the Crown. 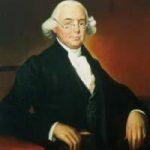 Jefferson, Franklin and Adams were appointed to a committee to draft a Declaration of Independence; Dickinson, Roger Sherman and others were put on a committee to draw up Articles of Confederation. The document Dickinson prepared was heavily amended and revised before being accepted by the full Congress. Dickinson wrote the Petition to the King, which appealed again for peaceful resolution. When the Crown rejected this approach, the pressures for revolution became unstoppable and brought Dickinson to his famous refusal to sign the Declaration of Independence. He did abstain from the final vote on July 4, 1776, however, so that the Pennsylvania vote would be for independence and the colonies would adopt the Declaration unanimously. John Dickinson had organized the first battalion of troops raised in Philadelphia, the so-called Associators (today’s 111th Infantry, Pennsylvania Army National Guard). Lacking a militia organization, Pennsylvania traditionally had relied on volunteer units such as Dickinson’s Associators for military support. When a large British invasion force appeared in New York harbor in July 1776, Pennsylvania called the Associators into active duty as a part of the general mobilization of militia to defend New York City, and Dickinson absented himself from Congress to assume command. Dickinson resigned his commission in the Associators and retired to his home in Delaware. During the summer of 1777, however, he once more enlisted for active duty, as a private in the Continental Army. The mobilization of Delaware units was in response to the appearance of a British force under General Sir William Howe at the headwaters of the Chesapeake Bay. From there Howe planned to attack Philadelphia, the American capital. General Washington’s hastily organized defense called for the mobilization of Delaware’s militia under the command of General Caesar Rodney. Dickinson’s unit was assigned to the Flying Camp, a mobile reserve that provided Washington with some 10,000 men who could be called forward to join the continentals holding New York City. Dickinson commanded a major garrison point at Elizabeth, New Jersey, defending against any attempt by British forces on Staten Island to cross the New Jersey countryside to attack Philadelphia. During the defensive action, Dickinson’s company guarded the approaches to the Brandywine River. His company served under General Caesar Rodney, notably at the Battle of Brandywine. 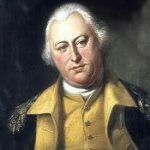 On September 26, 1777, however, British General Sir William Howe finally outmaneuvered Washington and captured Philadelphia. The Continental Congress fled to York, Pennsylvania, and Dickinson had to move his family to safety in Delaware. He also suffered financially during the war; British troops later burned Fairhill and caused extensive damage to his Delaware properties. In October 1777 General Rodney issued Dickinson a commission as a brigadier general of militia. His resignation the following year would usher in his later political career, which began when Delaware appointed him to serve in the Continental Congress from 1779 to 1781. His experiences during the war, however, had modified his views, and the once strong proponent of a loose confederation of states was gradually transformed into a leader of the cause of strong central government. Later service as governor of both Delaware and Pennsylvania in the early 1780s reinforced his growing belief that many problems rising at the local level could be resolved only by national action. His executive experience also convinced him that basic rights were best safeguarded by a national government that represented all citizens. In 1781, Dickinson was elected president of Delaware. The next year he resigned that post to be president of Pennsylvania, returning to Philadelphia and the radical turmoil in that state. While Dickinson was president of Pennsylvania, his old colleague from the Congress, Benjamin Rush, suggested founding a new school in Cumberland County, which was named Dickinson College. In 1786, setting aside his wish to retire, Dickinson joined James Madison in a convention at Annapolis to revise the Articles of Confederation. Dickinson was elected president of the gathering, and a brief session soon adjourned in favor of a larger such meeting to be held in Philadelphia. There he supported the idea of creating a new national government, and in 1787 he went on to represent Delaware at the Philadelphia Convention, where his experience and skills made a significant contribution to the founding of the new republic. Ironically, Dickinson again failed to sign one of history’s most important documents. This time illness was the cause; his name was penned to the new instrument of government by a colleague. Under the name Fabius, he wrote nine succinct essays urging the ratification of the new U.S. Constitution while warning against the gathering of too much power in the hand of the national government. Following the ratification of the Constitution in both Delaware and Pennsylvania by the end of 1787, Dickinson retired from politics, never holding any office in the new government he had greatly helped to establish. He still wrote, however. For his remaining days Dickinson lived in quiet retirement with his wife and two daughters in their townhouse in Wilmington, Delaware. John Dickinson died at his home on February 14, 1808. President Thomas Jefferson expressed his sorrow, and both houses of Congress wore black armbands in mourning. He was buried in the Friends Meeting House Burial Ground in Wilmington, Delaware. 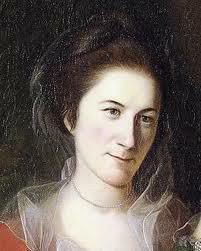 Mary Norris Dickinson died in July 1803, at Wilmington, Delaware, and was buried beside her husband.